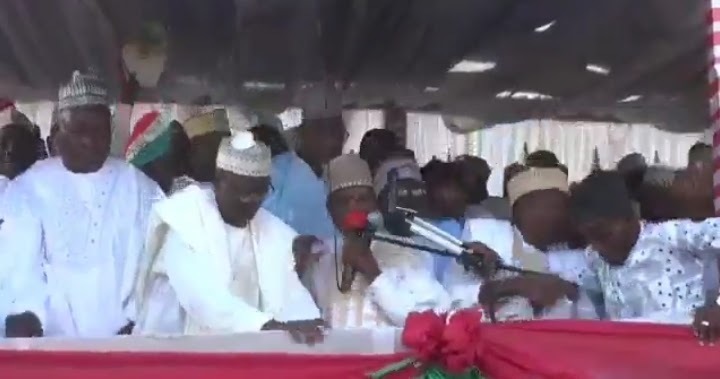 Here is the moment the stage collapsed during PDP Campaign Rally In Kebbi State. It was shared by Kayode Ogundamisi who wrote:“A’uzu billahi minasheitani rajimi (Seek protection from the DEVIL) & podium collapsed. A'uzu billahi minasheitani rajimi (Seek protection from the DEVIL) & podium collapsed.